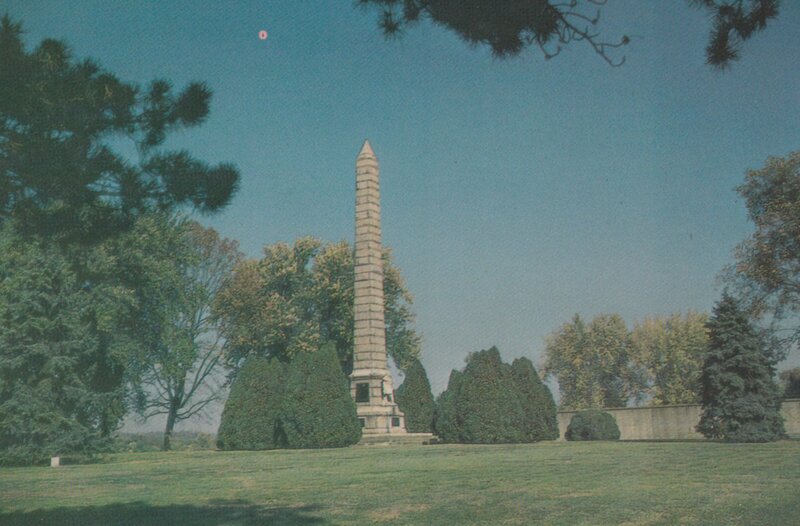 Point Pleasant, West Virginia, this park is the site of the first battle of the American Revolution! I received this postcard from my Granny. Florida is where you want to be in January! 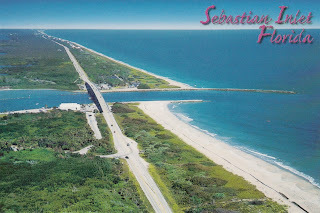 I love the beaches along the east coast of Florida. I could walk them for miles. 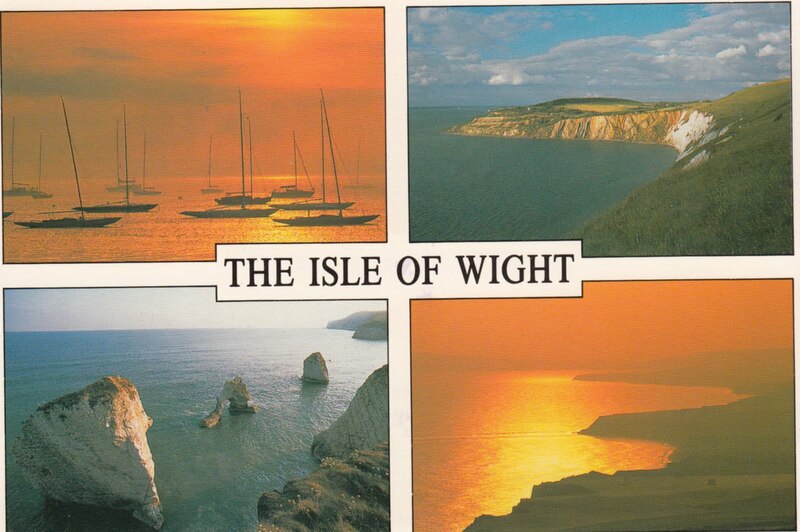 This wild card is from my good friends, Slade and Tammy Lewis when they visited the Isle of Wight in 1991! A blast from the past! 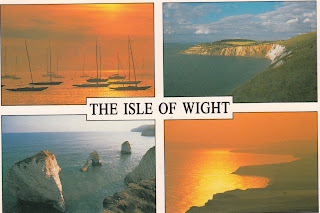 They were having a wonderful time and waiting to board a ferry when they wrote this card to me. Thanks you guys!! 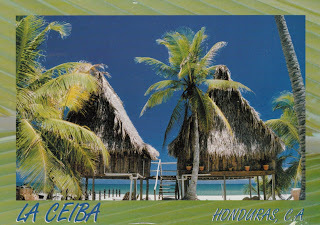 I received this postcard from Ryan in 2002 while he was in Honduras learning Spanish. I received this postcard from my parents while they were vacationing at Snowmass in 2005. 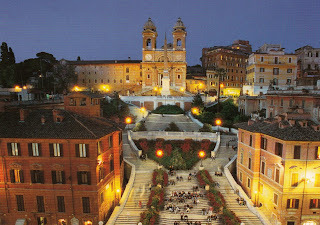 My final post for my reading in 2011! This is a used bookstore in Chester, UK. 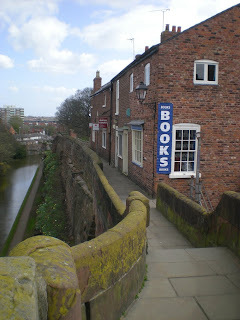 When I was stuck in Manchester, England during the Icelandic Volcano eruption in April of 2010, I traveled to Chester to do a little sightseeing and of course I visited all the used bookstores! I am a huge fan of the TV show Mad Men and 'From Those Wonderful Folks..." is about NYC advertising agencies in the glory days of the 60's and 70's. Like the book, "Coffee, Tea or Me" which was about the glamorous airline business of that era, "From Those Wonderful Folks..." tells about the advertising world from a fellow who lived it. If you like Mad Men, give it a whirl. Dreamside, another creepy book by Graham Joyce and I think I am getting tired of his stuff. I really liked Silent Land and had such high hopes for his other books, but I am just not enjoying them as much. Dreamside is a bunch of college kids who get involved in some dream experiments and the line between the dream world and the real world is dissolved. Odd stuff. The American Heiress is a romance novel plain and simple. It was pretty good. But basically a bit of fluff. The God of Animals is another "young girl coming of age" novel. The protagonist lives on her family horse ranch and there is all sorts of dysfunctional family stuff going on, I enjoyed it quite a lot. The Ballad of Tom Dooley is a fictionalized account of the true story that inspired the song. Loved it. Next to Love is a novel about WWII, the women who are left behind when their husbands go off to war and how they respond when their men come back...or not. It reminded me of the Elizabeth Berg novels about the same time period. So if you like Elizabeth Berg, I would recommend this one too. A Good Hard Look is a southern novel about Flannery O'Connor. It is a fictionalized account of the last years of her life through the eyes of her neighbors in Georgia. I enjoyed it more than I do O'Connor's own novels. Very melodramatic. Maine is one of those sprawling novels about a dysfunctional family. 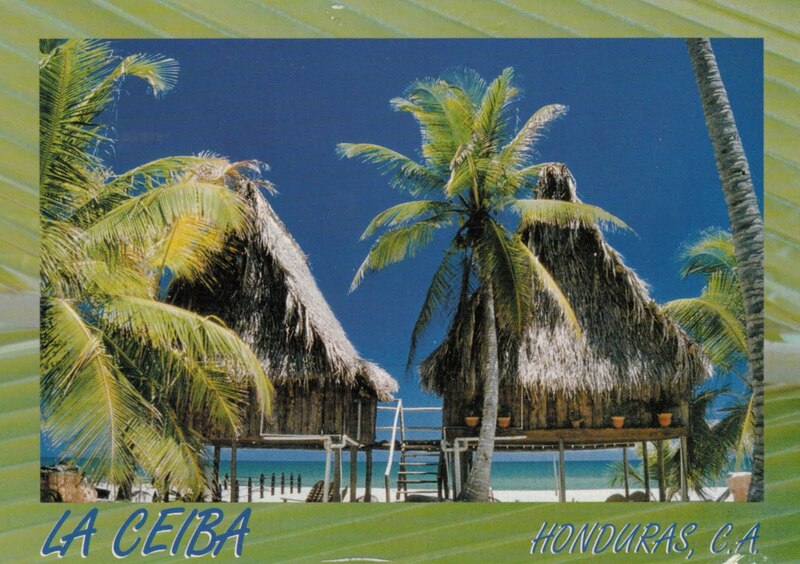 It was recommended to me as a great beach read. It features a large Irish family full of alcoholics and repressed emotions. They have a summer house in Maine that features in the plot. I enjoyed it. The Maid is about Joan of Arc and I enjoyed it. Another historical figure that I did not know that much about (like Cleopatra, who I read about earlier this year). So it was good to learn about her. The Accident is Linwood Barclay's latest thriller. I liked it a lot, his books move quickly and get you swept up immediately in the story. Furious Love is the story of Elizabeth Taylor and Richard Burton. The Original "Brangelina" who originated the Paparazzi. Before them scandal was the Duke and Duchess of Windsor, Taylor and Burton lived their romance totally in the public eye. They got together at the end of the Hollywood studio system and the beginning of the swinging 60's. A fascinating story. Mysterious North is a collection of short stories about Alaska lots of famous mystery authors contributed. Sue Henry, John Straley, Anne Perry and more. I love to read these on the plane, I can read a story and then do some work then read another story. Another Sarah Vowell book, this one is a collection of different essays on all kinds of subjects. I kept wanting to read stuff aloud to Ryan. Only 16 books read this month. 250 books read in 2011. Happy New Year! 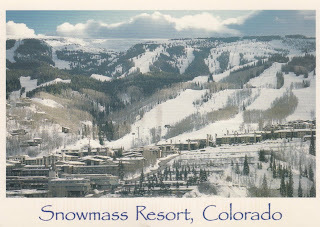 The Weekly postcards on Monday's were so popular last year, I have decided to do them again in 2012. The Spanish Steps in Rome, one of my favorite layovers. And don't forget, you can now subscribe to my blog and get emails each time there is a new post.